The ubiquitous Georgian Bay cedar. 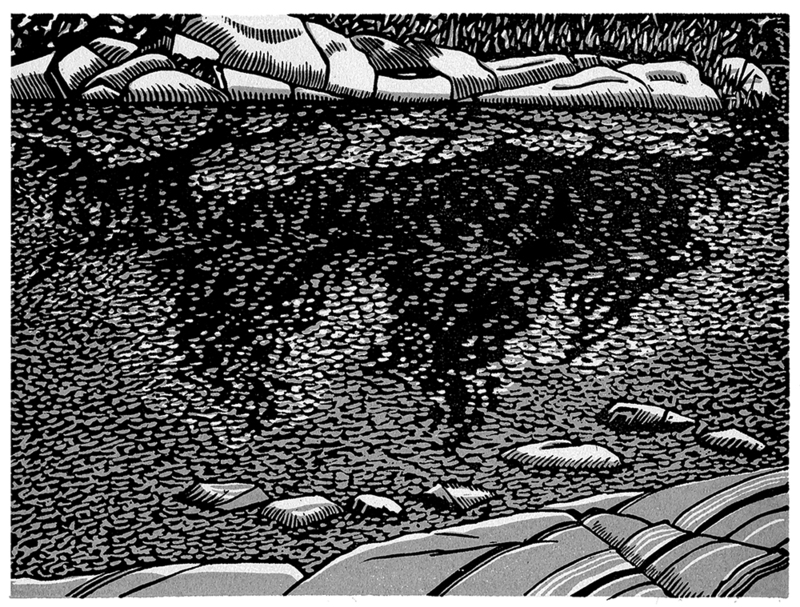 This is a three colour engraving that attempts to juxtapose the permanence of the rocks with the impermanence of the life around them. A beautiful, simple design by my friend, Maria. 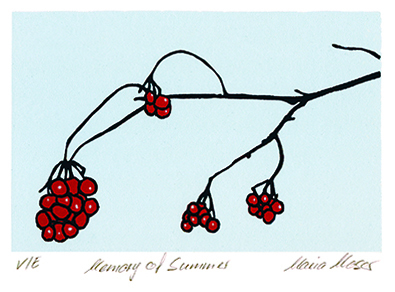 These berries are the most colourful things in the bush during the winter; they seem far down on the birds’ menu. And, as the tittle suggests, they are a reminder of summers past, and future.